Thank you to the “dream buyers” who bought my books on Saturday at the Coombe Abbey Festival of Crafts. 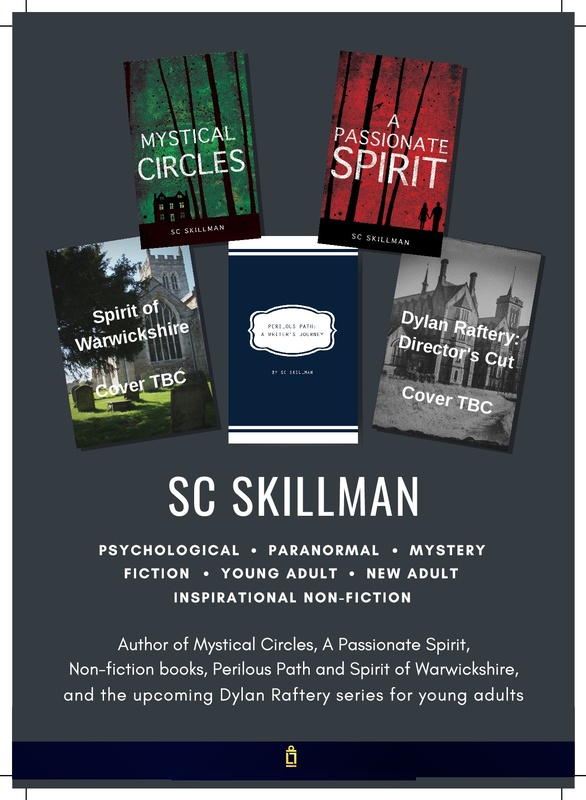 They needed no promotional chat of any kind from me, (which I’ve discovered is counter-productive), studied my banner, reviews and blurbs closely, and recognised that the stories were just their type of thing. Abigail, Jamie and I enjoyed our time at the local author stall in the Craft Marquee at the festival despite the rain and damp – though I feared my books might be starting to curl! Thank you too to another stallholder, Holly Webster, who came over to me to look at my books and to chat about her own urban dark fantasy novels. I’ve looked her up on Amazon and though the horror element in her novel Blood Borne is much darker than my usual taste, curiosity may lead me to download on my Kindle! Now all I need is for buyers like this to be increased a hundredfold! 1. I was born and brought up in Orpington, Kent; my father’s family owned A.D. Skillman & Sons, the Ironmongers Shop opposite the Woolwich Ferry on the River Thames. This shop was started by my grandfather in December 1900 and the last owner was my brother Chris who sadly had to close for business in June 2002. During my early life, I regularly visited the shop and helped out there, and encountered colourful characters who made a strong impression on me. 2. My inspiration as a writer came from an early love of reading: at first, the stories of Enid Blyton. I began writing at the age of seven. All successful stories stem from this; the main protagonist leaves their ordinary life and enters a new world. 3. The first stories I ever wrote were adventure stories starring children of my own age doing exciting things. I was also influenced by Astrid Lindgren’s Pippi Longstocking, Dodie Smith’s The Hundred and One Dalmations, and Norton Juster’s The Phantom Tollbooth. 5. At the age of fifteen I had a summer job on the assembly line making pop-up toasters at Morphy Richards factory in St Mary Cray, Kent. 6. The best job I ever had was at the BBC when I worked with many creative people and had great fun recording programmes both in studio and on location. 8. I got my ideas for my new novel A Passionate Spirit from many sources; the ghostly encounters in my book are all based on real stories, one of which is from my sister Julia who, several years ago, experienced paranormal activity while babysitting. I’ve also been inspired by esoteric and new age philosophies. Other ideas about my character Natasha (a mysterious spiritual healer) were sparked off by the sorceress Morgana in the BBC TV drama series Merlin. 9. I have myself experienced several groups like the ones in Mystical Circles and A Passionate Spirit; among the most quirky was a dream yoga group led by a shaman in the Australian rainforest. The Classic Children’s Author: A Sad Person Who Creates an Amazing Character Loved by Millions? Posted on May 25, 2015 May 25, 2015 CategoriesAbout Books I love, Authors I love, Books, British, creative writingTagsAlice in Wonderland, creative imagination, genius, great children's authors, inspired, Lewis Carroll, personal demons, Saving Mr Banks, SC Skillman author, stories3 Comments on The Classic Children’s Author: A Sad Person Who Creates an Amazing Character Loved by Millions? 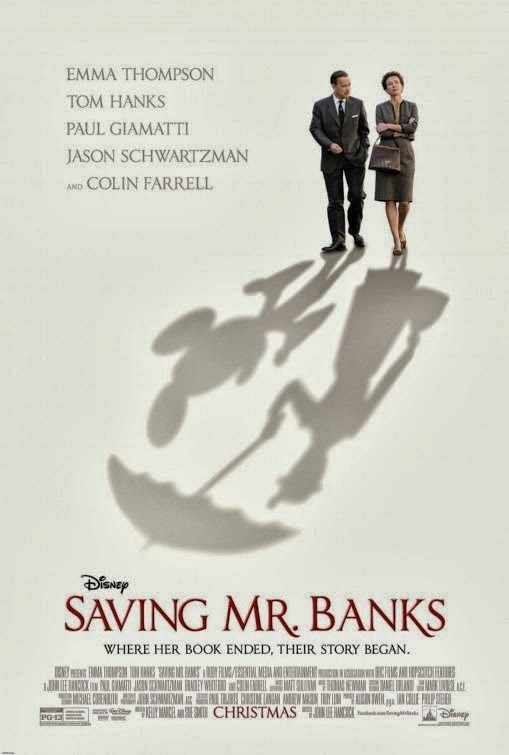 The other day I watched Saving Mr Banks with my film club. Later we had much to discuss about author P.L. Travers and her difficult relationship with Walt Disney throughout his quest to get her to sell him the film rights to her Mary Poppins books. As I thought about P.L. Travers and her enduring pain about the death of her father, which fed into her character George Banks, and led her to create the magical figure of Mary Poppins who would somehow redeem him, I thought of other great children’s authors who also wrote immortal fiction out of their pain and tragedy; or out of their own inner demons. We can immediately think of JM Barrie and Peter Pan; of AA Milne and Christopher Robin; and of course Lewis Carroll and Alice. 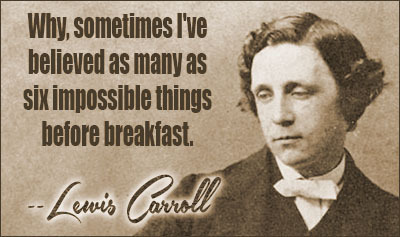 Several weeks ago I listened to a BBC Radio 4 programme about Lewis Carroll, and the evidence of his unhealthy interest in little girls, and how he strove to control and manage this (with greater or lesser success at different times). It was also interesting that his own family destroyed certain personal documents to save his future reputation, including vital diaries and letters written around the time he was intensely involved with Alice and her sisters. As I was listening to this, I found myself reflecting on what Lewis Carroll had created out of his own personal demons. 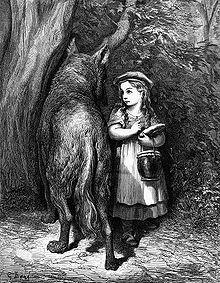 Alice in Wonderland and Alice Through the Looking Glass will be remembered and loved for as long as there are children around to read stories, and will always testify to Charles Dodgson’s supple genius, making the little girl who inspired him immortal. A second element of the story is the real Alice herself, and how in her subsequent life she handled this unlooked-for literary ‘immortality’. Again there is a strong element of sadness there. The older Alice, perhaps, was haunted by a feeling that she had not lived her life in a way truly worthy of the sassy little girl she had once been, who had inspired a creative genius to create a classic of children’s literature. Life changes, people change, but one thing does not change: the power of the creative imagination. I visited a National Trust property a few days ago – Lyveden New Bield near Oundle in the heart of the Northamptonshire countryside. 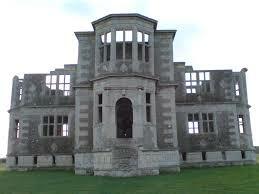 This is an unusual property in that it was build by an Elizabethan gentleman who left it unfinished. And it hasn’t fallen down, or been looted, or demolished, or built over, in the intervening centuries – but has just remained as it is. There is something haunting and eerie about properties like this. The only similar one I can think of is Chastleton House near Moreton-in-Marsh, which has been left exactly as it was 400 years ago….. It hasn’t been specially prepared or restored by the National Trust to look as it would when at the height of its glory. It has just been left, like Sleeping Beauty’s Palace. There is a faintly sinister air as you explore its rooms and passages. You get the feeling that those who lived there have just vanished and it has remained suspended in time. A curious melancholy hangs in the air. In the case of Lieveden New Bield, the designer and developer of this grand garden lodge, Sir Thomas Tresham, a wealthy and ardent Catholic, died before it could be completed. And his son Francis, instead of completing it and fulfilling his father’s dream, made a fatal error: he became implicated in the Gunpowder Plot, got arrested, confessed, and lost the entire family fortune. In Sir Thomas’s case it was cruelly cut short. Yet he died with all his ardent Catholic faith and hopes intact. And all the elements of his original design for his garden and lodge are now being rediscovered, and might even be realised in the future: who knows. To me, this is the value of visiting historical properties – enabling us to enter imaginatively into the deeply personal stories of those who lived centuries ago, and feeling not the things that separate us but the things we may have in common. In recent weeks many of us have been shocked by the case of Jimmy Savile and the BBC, and wondered how someone who did so much good in the world could turn out to have such a dark side. The case of Jimmy Savile should make us all look with new eyes at the cult of celebrity, at the nature of good and evil, and at the capacity of human beings to appear as Angels of Light and yet to have dark hearts beneath. Joseph Conrad’s novel Heart of Darkness explores this, as does Robert Louis Stevenson’s Strange Case of Dr Jekyll and Mr Hyde. This is what celebrity is all about: people who seem to be, who look and sound and do good. And we so much want to believe in them. So many people were hypnotized for so long by the power of Savile’s Celebrity Personna, and his Good Works. Running through archetypal story structure, we find wolves in sheep’s clothing, fair maidens who turn out to be evil sorceresses, beautiful queens who are power-hungry murderers. These characters form part of the “giant glorious background clutter we carry with us into adulthood”, says Neil Gaiman. In the case of Jimmy Savile, and in other notorious cases in recent years, we have seen cunning people playing with and subverting the English tendency to say something and mean exactly its opposite, conveying this purely through subtle changes in tone of voice. We all laughed, and later I wrote it in my journal, I was so amused and intrigued by his words. Of course he was probably joking. But so did many many people persuade themselves Savile was joking. So did Fred West convince neighbours and acquaintances he was joking. So did Peter Sutcliffe, the Yorkshire Ripper, convince work colleagues he was joking. Convincing yourself people are joking is an excellent way to avoid responsibility to follow the promptings of your first instinct. Of course these are exceptional cases, and there is a very high probability that when my amusing work colleague spoke those words, it could simply have been a theatrical way of saying, “I’m not religious”. Or it could have indicated bad feelings about himself arising from negative messages received in childhood; or it could have meant that he knew he had done – and perhaps continued to do – bad things that we didn’t know about. Should not reasonable people be able to see “something alien” coming in on their radar? Many people were blind to that “something alien” in Jimmy Savile. Human beings have a vast capacity to deceive. What is your take on this? Please share your thoughts on the case of Jimmy Savile, or any reflections arising from it. Woody Allen’s words above show the nature of passion for art. For many creative people cannot imagine giving up, retiring, or falling into silence, before they die. The master of comic fiction, P.G. Wodehouse, continued writing until the very end of his life. At the age of ninety three on his deathbed he was working on his final novel “Sunset at Blandings”. He’d reached chapter 16 of a planned 22 chapters. It was as full of spirit and youthful fun as all his many novels. Ask a group of writers why they write and you will receive many answers. But common to many is the simple assertion “I feel compelled to write.” Compelled, that is, in the same way as Woody Allen feels compelled to make films. And this is often the case, until new circumstances intervene. And for creative people, these circumstances may be of their choosing – or tragically otherwise. I think of three novelists who fell into silence, for different reasons. The first is one of my favourites, Susan Howatch. Find out more about Susan Howatch’s “retirement” from writing on this thread on Vivienne Tufnell’s blog. 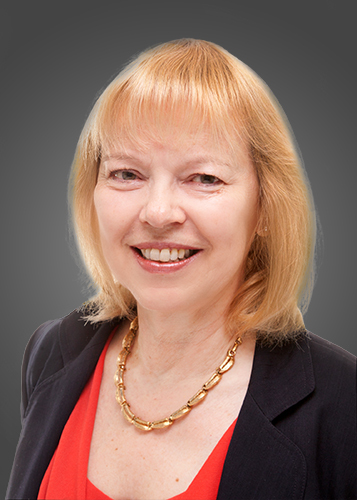 I followed and contributed to this thread because I share the feelings expressed by many about Susan Howatch – together with the disappointment that there will be no more from this much-loved author of the Starbridge series, and St Benet’s Trilogy. No more Nicholas Darrow. No more psychospiritual drama from that direction. No more sinuous and fluid psyches reaching out… we, her legions of fans, will just have to go back and read those masterworks again from the beginning! Jim Crace made a similar decision, but gave advance notice of it. He announced his next book would be his last. He created a strong impact with his novel “Quarantine” set in the Judaean wilderness, which examined those “on the edge” who wandered there 2,000 years ago, together with Jesus. Crace, writing as an avowed atheist, nevertheless developed the character of Jesus in a unique and compelling way. He has written many other successful novels too. But now he’s happy to “quit while he’s ahead”. I used to feel the same about Iris Murdoch as I do now about Susan Howatch. I marvelled at “A Severed Head”, “The Bell”, “The Message To The Planet”, “The Book and the Brotherhood”. Iris Murdoch’s silence was enforced through Alzheimer’s. Ironically, when the first signs of it arose she thought it was writer’s block. I could hardly bear to see the film “Iris” about the devoted support she received from her husband, because I found it so upsetting that she fell victim to such a horrific condition. Although I know full well the much-loved Terry Pratchett is on that same journey. Nevertheless I find it chilling to contemplate that this could happen to people with such truly brilliant minds. But in the case of these writers, having been so prolific, at least one can say they’ve given of their best. And are greatly loved for it. Have any of your favourite authors fallen silent? Do you lament that no more stories will fall from their pens? Or, perhaps, eagerly fall upon the publishers’ promises that here is another author who will fill that silence? Subscribe to my mailing list and get a free epub Pursuing Your Creative Passion, a taster from my inspirational writer’s guide Perilous Path: A Writer’s Journey – packed with encouraging tips, insights and reminders for writers. Here on my blog, I post weekly. I love to have your comments so please keep them coming! And if you’d like to know more about my next novel Director’s Cut, which I’m working on right now, do sign up for my mailing list here. As a child I was inspired by Enid Blyton. I started writing adventure stories at the age of seven; the love of writing that her stories first instilled into me has strengthened over the years. I studied English Literature at Lancaster University, and my first permanent job was as a production secretary with the BBC. Later I lived for nearly five years in Australia. I now live in Warwickshire with my husband David, son Jamie and daughter Abigail. I completed two full-length adult novels before writing Mystical Circles. I’ve always been fascinated by the interaction of different complex personalities, an inexhaustible source of inspiration for a writer! And my advice to anyone who wants to be a writer? Read a lot, listen to people’s conversations, be observant about the details of your world, and especially about human behaviour and interaction, and persist in your writing, being single-minded to the point of obsession…never give up, always believe in yourself despite all evidence to the contrary,(Click to Tweet) and hold out for what you first dreamed of. Thank you for reading this. And if you want to be first to hear about my next novel, which is currently in progress, do sign up on my email list here. Castles always make me happy. I’m lucky to live within a short distance of two of the country’s greatest – Kenilworth and Warwick. 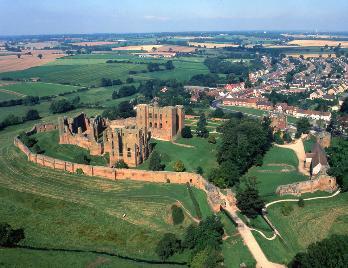 I’ve visited both many times but it’s Kenilworth that most captures my imagination. Is this because it lies in ruins whereas Warwick is still intact and has a Tussauds exhibition in it? When I consider Kenilworth, from the time Geoffrey de Clinton built the Keep with Henry I’s money in the 1120’s, right through to when Colonel Joseph Hawkesworth blasted it after the English Civil War and then moved into Leicester’s Gatehouse and set up home there, I think of the castle’s history blended with all the happy times I’ve spent in it. As I wander round Kenilworth Castle I wish I had a virtual reality CGI device that I could hold up to the ruined chambers and see superimposed over them exactly how this room looked in the castle’s days of glory. Instead I have my imagination. With it, I can see John of Gaunt’s great hall in its prime, the walls covered with vibrant tapestries, blazing logs set in the grand fireplace, and the table regularly laden with banquets. I can experience the kitchens as they were, full of heat and toiling cooks and servants, when Leicester’s Building was used to accommodate Elizabeth I and Sir Robert Dudley’s party of guests in 1575 . I can visualise the great mere that surrounded the castle, and picture the tiltyard when it was in full operation. I can replace the floor of the great hall in the Keep, and restore it to how it was when Edward II was forced to abdicate in it. As for the Elizabethan garden, I imagine it seductive, scented, densely-planted with shrubs in full bloom, with its four obelisks and central marble fountain, and a gemstone-studded aviary filled with lovebirds – for that is how it would have been when Sir Robert Dudley ushered Elizabeth I into it, hoping to persuade her to marry him (she still refused, but I’m sure she enjoyed herself there). Castles make me happy – to the extent that I only have to glimpse battlements above trees to feel that surge of joy. Why, I wonder? Castles are associated with prisoners thrown in dungeons to die; massive social inequality and injustice, arrogant lords feasting in their halls wth the social elite of the land while the masses labour and starve; wars, battles, sieges, boiling oil, death-holes, trebuchets loaded with rotting animal carcasses… and yet castles make me happy. I suggest this is because they are all bound up with story, and story is all about meaning, and we value meaning above all. A Portal to Another World – What Makes Any Place a Dream Home? Posted on May 23, 2011 May 3, 2014 CategoriesAuthors I love, Books, British mystery romance writer, buildings, creative writing, design, dreams and dreaming, inspiration, life, literature, love, mystery romance writer, SC Skillman, spirituality, thoughts, WritingTagsC.S.Lewis, dream, JK Rowling, Lewis Carroll, life, mystical circles, Neil Gaiman, Phillippa Pearce, SC Skillman, storiesLeave a comment on A Portal to Another World – What Makes Any Place a Dream Home? A couple of days ago the words ‘dream home’ sprang into my mind. I don’t know why. Perhaps it was a bit like J.K. Rowling on that train journey when she was gazing out of the window day-dreaming and she thought ‘Boy wizard – doesn’t know he’s a wizard – gets invited to wizard school.’ Anyway, these words ‘dream home’ came into my mind as I was driving along in my car. And then I thought, Whoever first came up with the idea that any of us might, or indeed should, aspire to one day living in a ‘dream home’? And what gives some of us the right and the privilege to live in a ‘dream home’, whereas thousands of others are constrained by money, location, convenience and so on, and end up in a home which is OK for them to live in but in no way constitutes a dream home and never will? Of course there are those in this world for whom ‘home’ is an improvised shack in a slum or on a rubbish dump. But who says such people don’t also have ‘dream homes?’ Or is the very concept ‘dream home’ one that our consumer society has invented so they can attach dream lifestyles to it and then attempt to sell us the products that will somehow propel us into those dream lifestyles? So why on earth do I think that a fifteenth century English timbered cottage (beautifully restored and renovated of course) or farmhouse or indeed an Elizabethan hall-house qualify to be my dream home? Because they remind me of things from childhood, because such houses contain idiosyncratic corners and minstrels’ galleries and sloping ceilings and uneven walls, and probably because these things are the stuff of children’s stories, (or the sort I read anyway). Houses that may provide entrances to other worlds… perhaps this in itself provides the definition of my dream home. C.S.Lewis was first inspired for “The Lion,the Witch and the Wardrobe” by the house he and his brother explored when they were young children. An unused room with a mysterious wardrobe… This was a concept that turned out to be powerful and fertile, as did that of the boy wizard dreamed up on the train journey. There is a rich tradition in children’s literature of houses that somehow become portals to another dimension – consider the world Lewis Carroll projects Alice into through the looking glass in her house, wait for the clock to strike thirteen and see what follows in “Tom’s Midnight Garden” by Philippa Pearce, or step with Neil Gaiman’s “Coraline” into the chilling parallel world of the Other Mother and the Other Father. Having written this, I have now convinced myself that the only qualification dream homes need is portals to other worlds. What do you think? What is your idea of a dream home? Have you too been inspired and influenced by the stories you read as a child?